Take your songwriting to the next level! 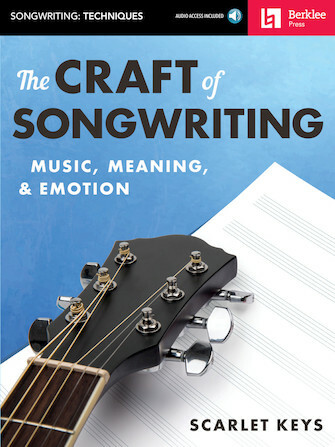 This book breaks down the processes used by hit songwriters and dives deeply into the craft of songwriting. Discover the tools and techniques for melody, harmony, lyrics, and form behind so many great songs. You will access the magic and come out more connected to your heart and craft. Online audio tracks illustrate these techniques in context, showing how they affect your song's overall impact. “Occasionally, a piece of literary, academic, and educational work enters the scene that deals so effectively with the current understanding of the subject that its entrance is a historical marker. Scarlet Keys' The Craft of Songwriting is just stupid good. The chapter on chord substitutions alone is worth the price of the book.